This is the second album from Swedish black/death metal band Revenge Prevails. This is a band that takes a sturdy, Satyricon-esque second wave foundation and builds on it with some solid death metal bricks. 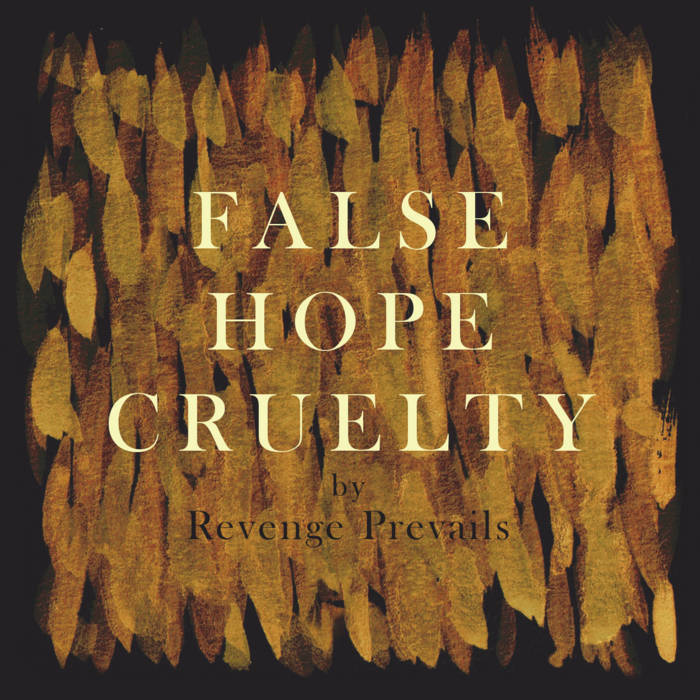 With 11 tracks and 71 minutes of content to get through, False Hope Cruelty can be a daunting listen in some ways, but although not perfect, this is still a very strong album and its length hopefully won’t put you off if you’re in the mood for this kind of thing. The majority of the vocals are traditional blackened screams, with deep grunts adding some death metal muscle to the mix. With blackened bite and frozen intent, the songs take the razor sharp approach of black metal and enhance it with some deathly brutality. It’s more black metal than not, but the death metal presence is definitely felt. There are some top quality riffs on this release. Revenge Prevails have a talent for quite apocalyptic sounding guitars when they want to, it seems, and there’s plenty of them to enjoy across this quite monolithic album. The band’s core style is bolstered by a few different ideas and deliveries here and there. This might be subtle keyboards, added percussion/instrumentation, (accordion, trumpet, harp, trombone), some melodic forays, the occasional atmospheric section, or clean vocals, from both male and female singers. Lengthy, but rewarding, False Hope Cruelty is a real slow-burner. It’s clearly good when you first approach it, but when you really start to get to know the album that’s when its starts to shine with a real dark lustre. There’s some really, really good material on this album, and Revenge Prevails have shown they are a band that’s worth investing the time in. This entry was posted in Black metal and tagged Black metal, Black/Death metal, Death Metal, Metal, Revenge Prevails, Satyricon, Second-Wave Black Metal. Bookmark the permalink.